Dead boot of Linux or Windows needs a lot of labor when sometimes it just does not work. Legacy boot mode does not support hard drives that provides more than 2TB disk space, and mostly you would like to use UEFI mode for better Windows 10 support. This feature in BIOS enables faster boot speed by skipping some of the processes which might leave USB support uninitialized, and therefore best switch it off when booting from USB. After operating system is installed in hard drive, you may safely re-enable this config. Some of the linux distributions are treated as secure with windows certificates, i.e. 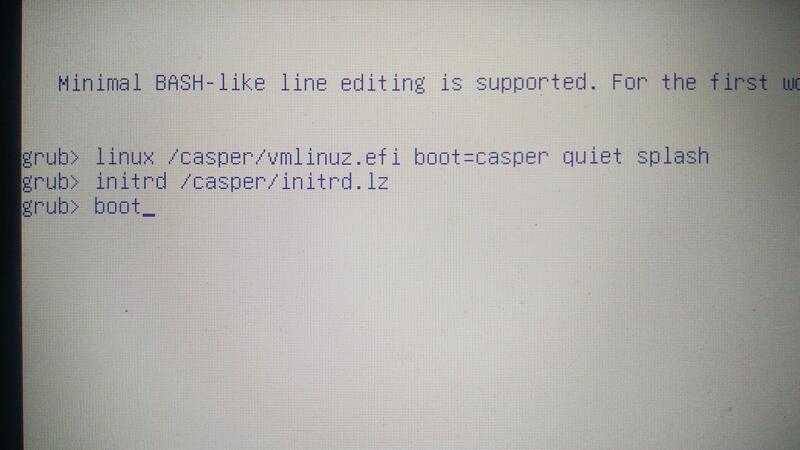 Ubuntu, Fedora, OpenSUSE, etc., however it might still arise some problems when booting. Best switch off at installation. After installed, you may simply test it to see whether your installation is compatible with secure boot or not, and also, safely re-enable it if it's compatible. Best switch off for always. Here, I'm using Ubuntu 16.04 as an example. Operations can be safely inferred for other distributions. I'd recommend using gparted if you prefer GUI tools. Here I'm showing you the way to do it via terminal only. end of the disk. For example, -1s specifies exactly the last sector. 'mkpart' makes a partition without creating a new file system on the partition. FS-TYPE may be specified to set an appropriate partition ID. 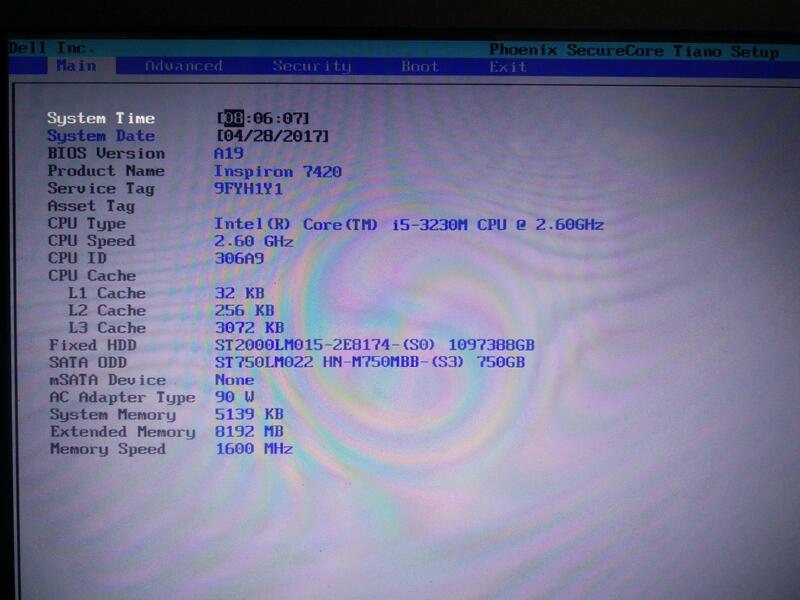 I'm using Dell Inspiron 7420 as a demo, and its BIOS is Phoenix A19. 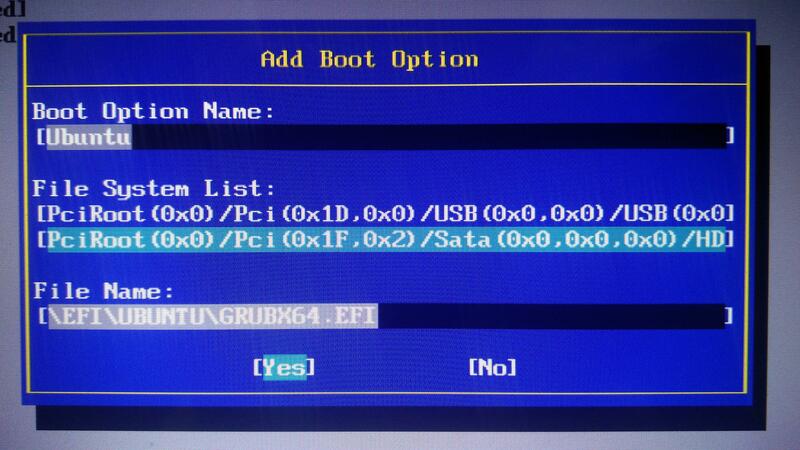 Old BIOS is likely not to get configurations correct, and the support for UEFI is miserable in convenience. Normally it is a convention for UEFI compatible devices to install a bootloader in /efi/boot/boot<arch-name>.efi for itself. Afterwards, you should make USB boot option first. After reboot, you'll see the installation grub menu. You'll need to boot from USB manually. # is the partition id. # Then you can view its files. 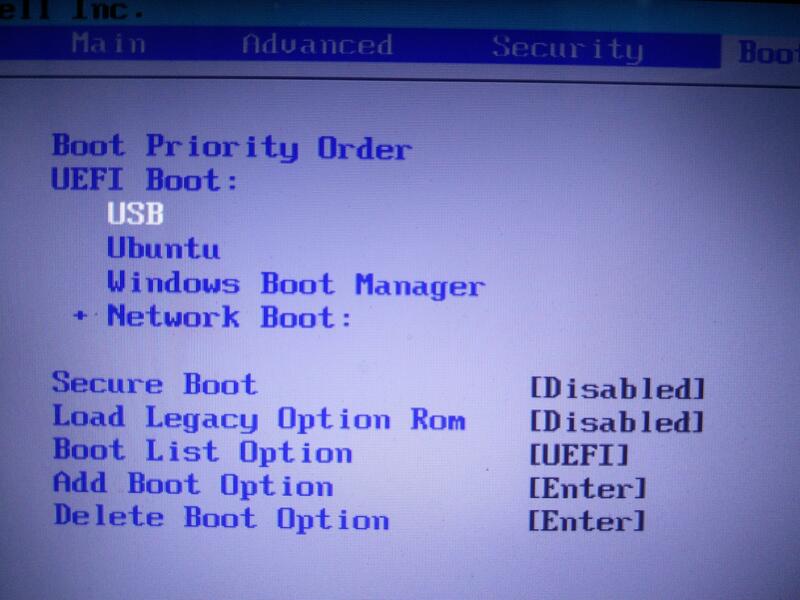 Before you install the distribution on your disk, you should check whether you're actually booting from UEFI mode. [ -d /sys/firmware/efi ] && echo "UEFI" || echo "Legacy"
But the bad news is that if you would like to make it bootable for other PCs, you need to flash it back to msdos partition table. Install a UEFI compatible operating system requires that a ESP (EFI System Partition) is available on your hard drive. You may use the advanced partition mode to configure your installation. 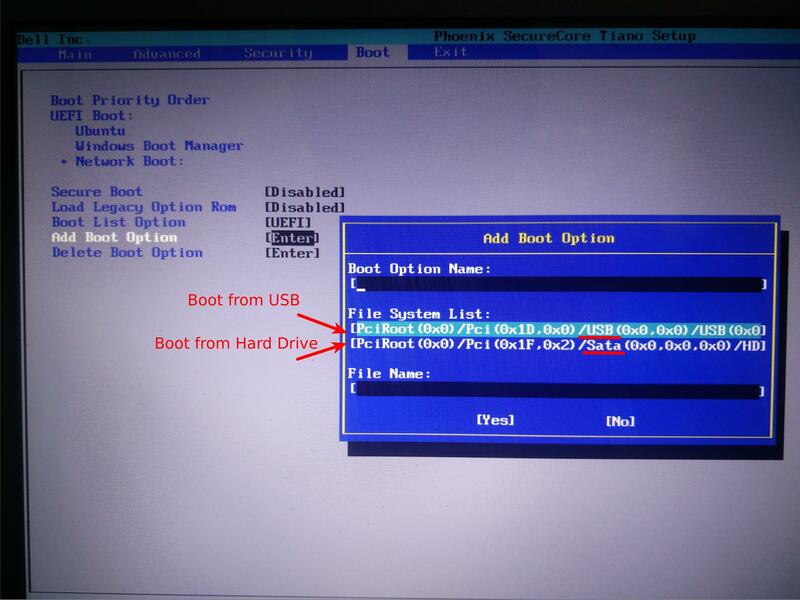 After installation completes, you should boot from hard drive and check the boot mode to ensure that you're booting in UEFI mode. 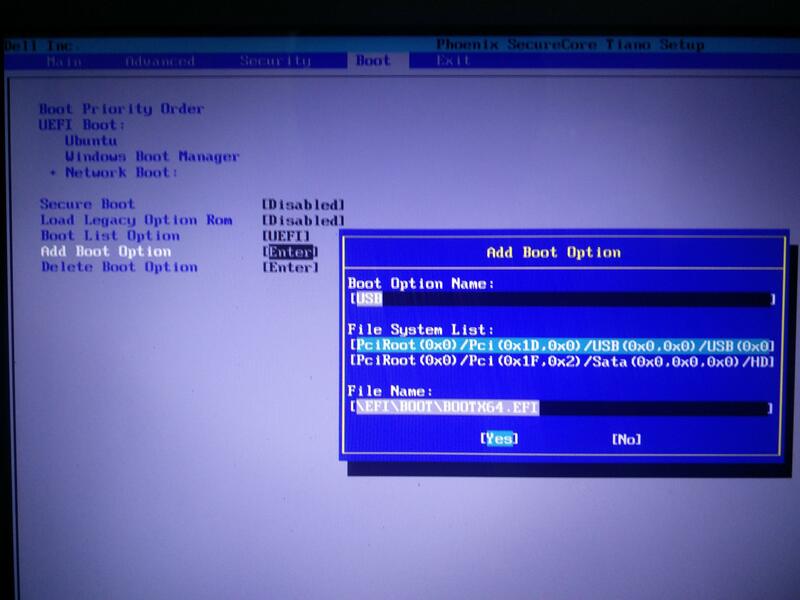 If you boot failed after installation, you might need to manually Add boot option to your BIOS. Most steps are the same as above before the last extract ISO image content. You should always reference to the original grub.cfg in the ISO to get a brief example of how it should be booted. It only differs in first step from the easy choice. 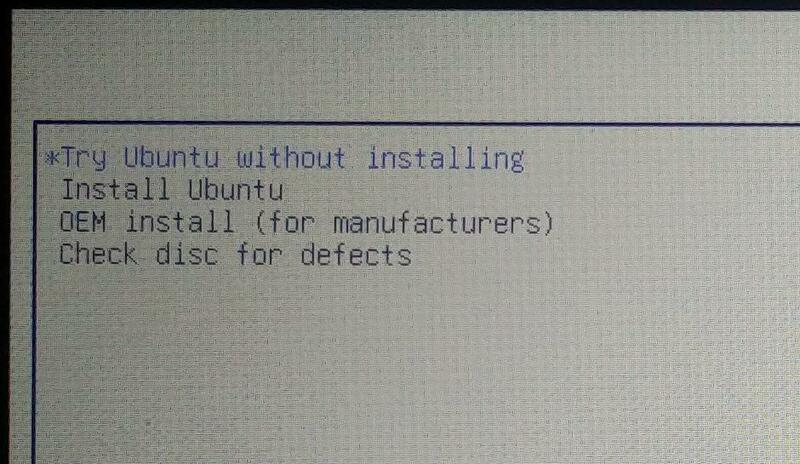 In easy choice, we're using the ubuntu's default grub image. Here we can make a customized one. Grub does not officially support bootint Windows in place, and therefore chainloader should be used to load the windows bootloader to load windows. Normally, when correctly flashed a bootable Windows USB, the firmware should be able to load you into Windows. However, if it fails to do so, and you have another bootable USB with grub, you may try the following steps to boot Windows manually. It should correctly arouse Windows now.